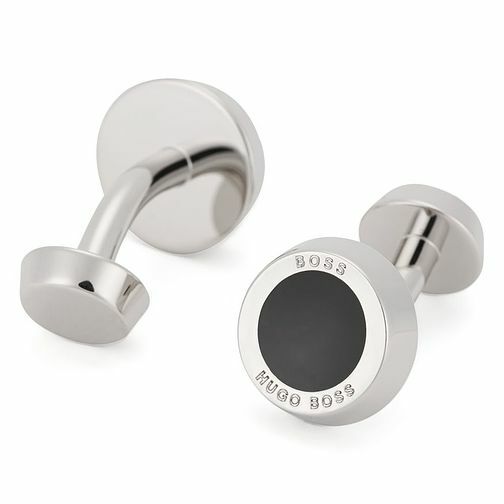 Radiating contemporary elegance, these striking brass round cufflinks feature black central detailing and are emBOSSed with the BOSS logo. The perfect finishing touch to his polished, sophisticated look. BOSS: Practical and stylish accessories; gifts for any occasion.